I love wearing western attire in my daily wear. I find them comfortable so you will often see me preferring jeans over suits and one-piece over sarees. Though, traditional dresses do make me feel beautiful and so I prefer them donning in cultural events, festivals or marriages. In western dresses, Maxis are the latest that I enjoy wearing these days. They are my current favorite. Elegant, charming, pretty and modern, I feel they suit every woman regardless of height or size or age. They give comfort plus class. They look smart and can give you a sophisticated look. I preferred Maxi even during my pregnancy. Here, I share with you my two looks in this floral piece that I picked up randomly during a shopping spree. The first one is during the initial days of my second pregnancy and the second one is post-delivery. What I find best about a nice floral outfit, is that the same piece looks good outdoors and indoors, in daylight as well as during night. They can go really well during a casual outing and look peppy during a romantic meeting. I wore it on this occasion of meeting a group of people for the first time. I have kept it minimally accessorized as I feel that looks more suave. The idea is to look more demure, hence I tied my hair that gives me a bit mature look, no? This was recently on my birthday eve. It was a dinner date with my husband in a posh restaurant. 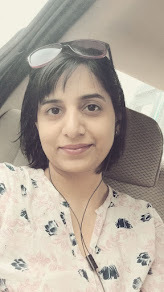 As I am still in recovery phase post partum, I didn't buy any new dress and instead, chose to wear this Maxi as it nicely hid the extra flab whatever was left :) I kept the hair open to feel younger with two kids lol. And felt keeping the look minimally accessorized gave a classy look. I would be buying lot more Maxis and share my sense of fashion about the dress. Meanwhile, why don't you tell me what you feel about this kind of dress?